Have You Been Issued A New York Traffic Ticket? 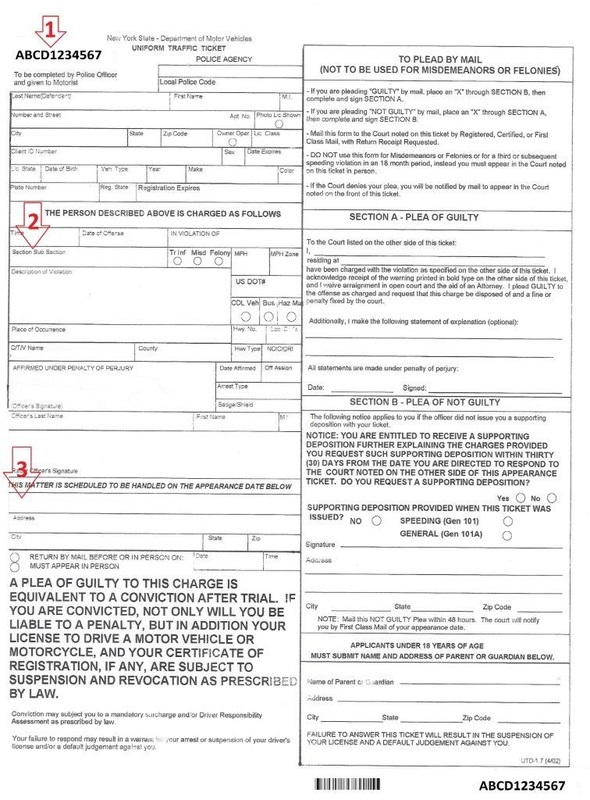 Nassau County Takes Ticket Convictions Seriously! FIGHT YOUR TICKET WITH AN EXPERIENCED NASSAU COUNTY TRAFFIC LAWYER! Let Us Help You Keep Your Driving Record Clean! Many New Yorkers consider driving a right. However, that is not the case. According to state laws, having a New York driver’s license is a privilege. The license itself is physical proof that you have met any and all driving requirements of the state and have received permission to drive. Violating traffic laws in New York can quickly cost you. As the best Nassau Country traffic lawyer, Mr. Ricca has been able to help clients save themselves from accumulating thousands of points and thousands in fines. Want to learn more about how The Law Offices of Michael H. Ricca, P.C. can help you? Contact us today or keep reading to learn more about your New York traffic tickets. New York traffic tickets typically break down into four main sections. Below, we discuss these sections and help explain what each means to you. This portion is located on the upper left side of your citation. Portion I is composed of your “pedigree” information. In other words, this section contains all of the identifying data needed for a ticket. This includes your name, address, license number, registration number, and more. This section also contains the ticket number in large, bold text. Portion I is completed by the law enforcement officer issuing the citation. There are some who believe that if the officer incorrectly spells a name, their citation will be dismissed. This is an inaccurate assumption as most judges will not take this into consideration when reviewing your case. Beneath Portion I, you will find Portion II of the ticket. This is where the issuing law enforcement officer will indicate which section of the New York State Vehicle and Traffic Law (VTL) you are in violation of. This portion, which starts with the block text labeled “THE PERSON DESCRIBED ABOVE IS CHARGED AS FOLLOWS”, will include the date, time, and location of the offense. It will also list the issuing officer’s information. This portion is also completed by the issuing law enforcement officer. Portion III immediately follows Portion II down the left side of your ticket. This portion will contain everything you need to know about the court to which your ticket is returnable to. This includes the court name and address. This portion also details your plea deadline and whether you can plea via the postal mail or need to do so in person. Like the previous portions, this will be completed by the issuing law enforcement officer. The entire right side of your ticket makes up Portion IV. This is where you will indicate your plea of guilty or not guilty in accordance with the instructions provided in Portion III. Portion IV can actually be broken down further – into Section A and Section B. These sections are clearly indicated on your New York traffic ticket. If you fail to submit your plea or pay your citation, via the instructions in Portion III, by the due date, your license will be suspended. Once this occurs, you will be responsible for paying the suspension termination fee before your license can be reinstated. This fee will be due regardless of whether you are convicted or not of the traffic offense for which you were cited. Before you check that “guilty” box on something you feel is menial, you need to understand the ramifications of any traffic conviction.  When it comes to your license, New York State operates under a point system. This point system aids law enforcement and the Department of Motor Vehicles (DMV) to flag high risk drivers and can set into motion fines, suspensions, jail time, and more. The New York State point system assigns the below values to specific traffic offenses. If you have been issued a traffic ticket in New York, it is your right to fight a conviction. This means that, even if you believe there is no way to avoid a conviction, you should never simply enter a guilty plea. Why? To understand why every little point matters, you need to know what those numbers mean to you. There are four ways accumulated points will primarily affect you. Keep in mind, each consequence comes with resounding effects that can impact other aspects of your life. Driver Responsibility Assessment: If you accrue 6 points within an 18 month period, the DMV will automatically issue a mandatory Driver Responsibility Assessment fee. This fee starts at $100 per year, over the course of 3 years. This fee will be in addition to any fines, penalties or surcharges your actual conviction results in. If you accumulate more points during that 3 year period, you will owe an additional $25 per point over the original 6 points. If you were caught driving while under the influence of drugs or alcohol, this annual fee will increase to $250 per year for the 3 years. If you refuse a chemical test, this will also result in a $250 yearly Driver Responsibility Assessment fee. You should keep in mind that failure to pay your Driver Responsibility Assessment fee will result in your license being suspended. License Suspension or Revocation: Failing to pay your Driver Responsibility Assessment fee is not the only way to lose your license. If you accumulate 11 points within an 18 month period, it is an automatic license suspension in New York. Before you are able to have the suspension lifted, you will need to pay any fines or fees, including the termination fee, associated with your license. If you continue to disregard the traffic laws you may even face a license revocation. Increased Insurance Premiums: Racking up points has another side effect.  While the New York State DMV does not directly control your premiums, most insurance companies will increase their rates if you continue to demonstrate high-risk behavior. In fact, you may even find yourself without insurance if you become too much of a liability. Financial Burdens: Any type of traffic citation will result in a host of financial implications. There will be fines and surcharges even for the most minor of offenses. For example, speeding 1 to 10 miles over the speed limit is a 3 point ticket. That comes with a $150 fine and $80 to $85 surcharge. Do the same in a construction zone, however, and you will face a $150 fine and a $130 to $135 surcharge instead. If you go to court and are convicted, you will also likely owe a court fee as well. If this ticket puts you at 6 or more points in an 18 month period, you can add that Driver Responsibility Assessment fee ($300 over a 3 year period) to your financial burden as well. Did you have your license suspended as a result of your ticket or inability to pay the fines and fees? You can add a suspension termination fee to the end of your growing financial burden as well. These are just four of the many potential consequences that may arise from your traffic ticket. Each case, however, has its own set of additional problems that may increase the damages or burdens a ticket can cause. In severe cases, arrest and jail time are also possible. If you were ticketed in New York, you must respond to the ticket within 15 days. Failure to do so will result in the suspension of your license. If you were only visiting New York, the state cannot suspend your license. However, they can suspend your privilege to drive within the state. It is your right to request supporting depositions for your traffic ticket. Whether this act is worth the effort, however, has been debated. This is especially true if you do not have a lawyer on your side. When you request the supporting deposition for your ticket, you run a few risks. On the positive side, the law enforcement officer who issued the ticket must supply this documentation within 30 days of the request. Failure to do so means your ticket will be immediately dismissed. However, New York allows officers to re-issue a ticket within 1 year of the violation. The law enforcement officer will have to file a “long-form” ticket and serve it to you in person for this to occur. The risk, however, comes in angering the law enforcement officer. If the supporting documentation must be gathered, typed up, and supplied to you – it is likely that you will annoy the officer and, therefore, face a much more severe prosecution. It is no secret that angering a law enforcement officer will likely mean any deals the prosecution may have made will no longer be available. That being said, supporting depositions are typically included by default. Thanks to the electronic ticketing processes available today, the supporting deposition is often put into the system when the ticket is issued. This makes it less likely to delay your hearing since the law enforcement officer will not need 30 days to type up the documentation. Fighting a New York State traffic ticket is the best way to avoid accumulating points, fines, and more. However, you would be ill-advised to fight your ticket without a reputable traffic lawyer, like Michael H. Ricca. A reputable traffic lawyer has a deep understanding of the New York VTL, as well as court procedures, timelines, and potential outcomes. Consulting with private counsel, like Michael H. Ricca, can help you to better understand all legal aspects and implications. Your lawyer will also be able to help you decide whether requesting the supporting deposition is in your best interest. A qualified and experienced traffic lawyer will also be able to determine whether a supporting deposition request will help your case. Because they act on your behalf, they can also negotiate any plea deals for you. If you must go to court, a reputable traffic lawyer will also be able to help prepare you for your hearing. This includes preparing you for testimony, cross-examination, and any other potential court necessities. A lawyer can also assess the need for witnesses and other supporting evidence. The Law Offices of Michael H. Ricca P.C. can help you fight your ticket. In fact, we make your fight as easy as 1-2-3! Step 1: Submit Your Ticket. We provide 3 easy and convenient ways to submit your ticket for evaluation. Call, email (Tickets@RiccaLaw.com) or submit your ticket online to The Law Offices of Michael H. Ricca P.C. It takes seconds to do and gives your attorney the chance to initially review your case. Step 2: Free Telephone Consultation. Expect a call within 24-hours of submitting your ticket to The Law Offices of Michael H. Ricca P.C. This free consultation is aimed at helping you and the attorney fully understand the situation. We will inquire about the circumstances and specific facts of your case, as well as collect information to help formulate the best defense for you. In addition to this, the lawyer will go over all of the potential consequences and outcomes of your case. You are welcome to ask any questions you may have at this point in time, too. Step 3: E-Sign & E-Pay. To help expedite your case, The Law Offices of Michael H. Ricca P.C. will email you a copy of our Retainer Agreement. You can digitally sign this agreement and send it back via email. In addition to this, we will include an e-pay link for our services to you. This helps to make payments quick and easy. That’s it! Once we receive your retainer agreement and payment, The Law Offices of Michael H. Ricca P.C. will handle the rest. In most cases, if you hire Mr. Ricca, you will not even need to attend a traffic hearing. With years of experience, knowledge, and a passion to help those who need it, The Law Offices of Michael H. Ricca P.C. goes above and beyond for our clients. Unlike public defenders or many other private counsel offices, we only take the cases our workload can manage. That means each client we take on gets the attention they deserve. We understand how scary a traffic ticket can be. Especially if you have accumulated any points prior to your new ticket. With The Law Offices of Michael H. Ricca P.C. you are never alone in the fight against your traffic ticket. Contact us today for your free consultation and, together, we can fight your traffic tickets!